One of the prettiest waterways in England, the South Oxford Canal linked the Thames to the Midlands when it was built in the late 18th century. Now it provides superb cruising through a typical English countryside of stone villages. 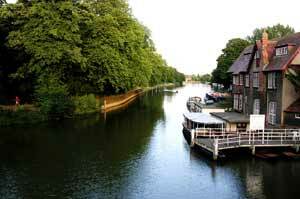 It is noted for its scenery, lift bridges, and narrow locks. The North Oxford Canal from Rugby leads via Braunston village to join the South Oxford Canal at Napton Junction. After ascending Napton locks with views of the village and its windmill on Napton Hill, the eleven mile summit section meanders through hills to Claydon and the descent to Oxford. Pass charming Cotswold villages such as Cropredy with its thatched stone cottages, church and pubs, before reaching Banbury, famous for its 'Cross' and cakes. The route then follows the scenic Cherwell valley to Aynho past Lower Heyford to Oxford with its historic University, 'dreaming spires', and Inspector Morse locations. The above route to/from Napton can be taken as a one week return trip: 100 miles, about 45 hours, 78 locks. Allow a further 10 hours and 6 locks to/from Rugby. Short breaks can be taken on sections of the above. Routes from Napton can be extended down the Grand Union Canal towards Stoke Bruerne (see Grand Union Canal Guide). 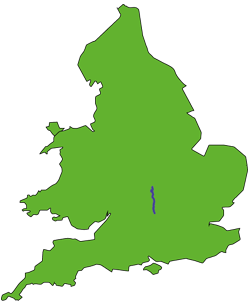 Routes from Oxford can continue onto the River Thames towards Lechlade or London (see River Thames Guide).